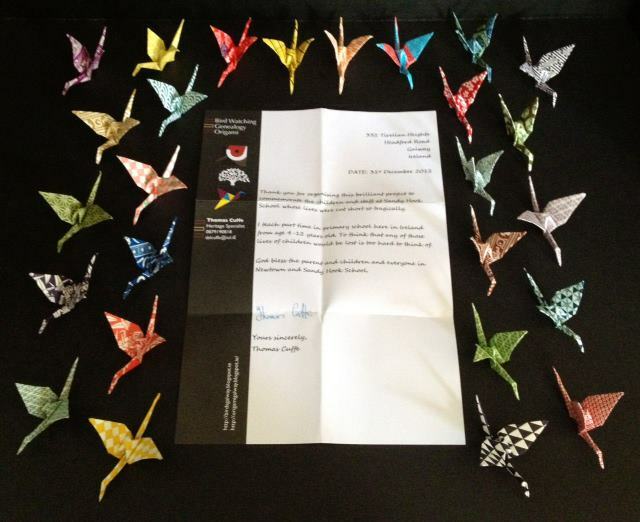 These 26 peace cranes were folded by a very special elementary teacher and origamist in Galway, Ireland! This entry was posted in Art, Math, Origami, Sandy Hook, Science, STEM, Uncategorized and tagged art, Calista Frederick-Jaskiewicz, Ireland, Operation Sandy Hook, Origami, Origami Salami, Peace Cranes, Tom Cuffe. For an extensive photo archive of Operation Sandy Hook: Peace, visit our website and Facebook page. 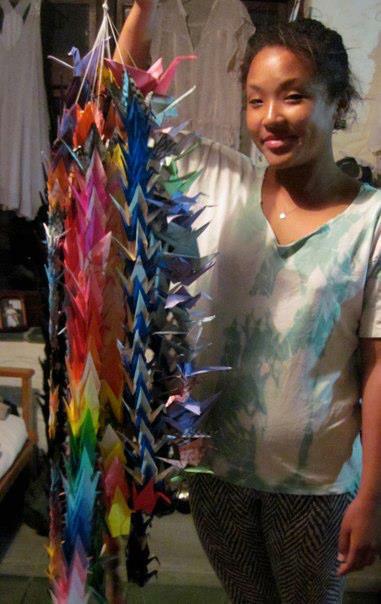 This entry was posted in Uncategorized and tagged Calista Frederick-Jaskiewicz, Folding for Good, Operation Sandy Hook: Peace, Origami, Origami Salami, Peace Cranes. 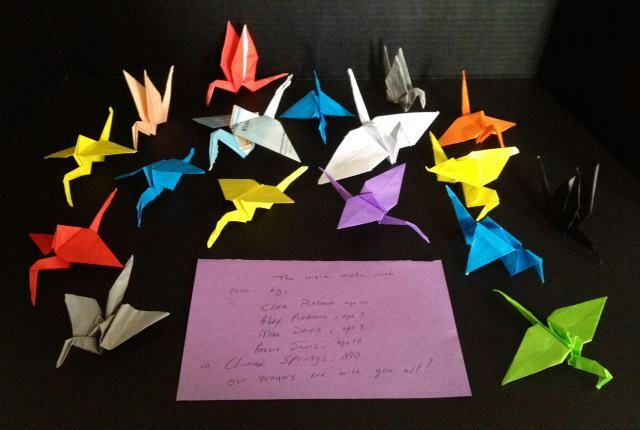 Snap a photo of your beautiful peace cranes and email to foldingforgood@gmail.com for immediate posting. 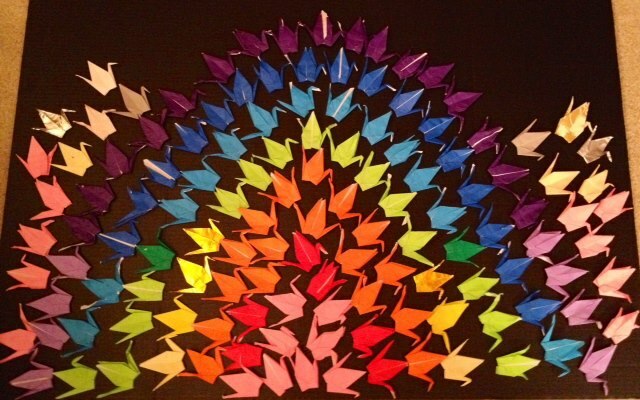 This entry was posted in Art, Math, Origami, Sandy Hook, Science, STEM, Uncategorized and tagged art.